﻿ Israel’s military occupation of Gaza and the West Bank, including East Jerusalem, turns 50 this week. The scar on my head from a fateful day in June 1967, when that military rule started, is now completely covered by my greying hair, but the scar that day left on my life remains largely raw. I was less than 3 years of age when my anxious 24-year-old mother hastily grabbed me and my two older brothers to flee to the relative safety of Jordan, just days after Israeli armed forces occupied Ramallah. My grandmother, a refugee from Safad during the 1948 Nakba—the mass expulsion of more than 750,000 indigenous Palestinians to establish a Jewish-majority state in Palestine—was torn about what to advise her daughter. She did not want us to suffer her family’s fate when they were forced at gunpoint to abandon their home in Safad and, later, become refugees in Syria. Yet, above all else, my grandmother wanted us to be safe. ﻿ A panic-sparking rumor that the Israeli military authorities would soon close the only crossing between Palestine and Jordan settled the debate. It convinced my mother to take us to Amman “temporarily, until the war was over.” My grandmother tried to comfort her with these words, but was hardly able to hide her own conviction that Israel would never allow us to return. Mother slipped while crossing the badly damaged wooden bridge to Jordan. She had been carrying my older brother and me while dragging our eldest brother and two bags. I fell to the ground, and blood started gushing from my head. My wound eventually healed, thanks to a traditional Arab remedy of olive oil and garlic, but my life, and that of my loved ones, never has. That moment, we joined the ranks of hundreds of thousands of other Palestinian refugees, uprooted from our communities and denied our right to return to the only place we knew as home. Almost everything has changed in these past decades except for the yearning of millions of Palestinians to live in dignity, free from a brutal regime of military rule and apartheidcontrolling nearly every aspect of our lives. Time may heal many things but the scars left by the two waves of forced displacement in 1948 and 1967 can hardly heal when Israel continues what many of us consider an ongoing Nakba, an unending dispossession. Time alone cannot cure the wounds of Palestinians living for more than 10 years under Israel’s fatal siege in Gaza, or in the shadow of Israel’s odious land-grabbing wall and hundreds of military checkpoints in the West Bank. It cannot dull the impact of Israel’s intensifying efforts to kick Palestinian communities off their land, stealing it for the construction of illegal, Jewish-only settlements, in contravention of international law and decades of stated US policy. Palestinians living outside of historic Palestine, predominantly refugees, account for 50 percent of all Palestinians and are denied their internationally-recognized legal right to return to their homes of origin. As more people recognize the truth about Israel’s system of oppression against the entire Palestinian people, mainstream support for Palestinian rights and for pressure to end Israeli impunity grows. An October 2016 poll released by the Brookings Institutionreveals that 46 percent of all Americans and 60 percent of Democrats support imposing sanctions or taking tougher measures against Israel to stop its illegal settlements. These polls and similar indicators point to the healthy growth in the last few years of the grassroots, Palestinian-led Boycott, Divestment and Sanctions (BDS) movement, which I helped found, and believe critical to achieving freedom, justice, equality and a lasting peace. BDS has rekindled our hopes that, with internal nonviolent resistance and mounting international pressure, similar to that applied to apartheid South Africa, we can prevail over Israel’s system of oppression. When six out of eleven National Football League players turned down an Israeli propaganda junket and a “wave” of cancellations by international speakers hit the Tel Aviv LGBT Film Festival, our hope was amplified. Palestinian hope was also boosted when some of the largest churches in the US, including the United Methodist Church, the Presbyterian Church and the United Church of Christ, divested from Israeli banks or complicit international corporations, and when some of these corporations had to end their involvement in Israel’s illegal projects. The fact that support for Palestinian rights is growing rapidly among younger Americans, including Jewish millennials, and is once again becoming integrated with struggles for the rights of refugees, immigrants, women, workers, Black Americans, Muslims, Native Americans, and the LGBTQI community also kindles our hope. After 50 years of brutal Israeli military rule and almost 70 years of dispossession, enough is enough. 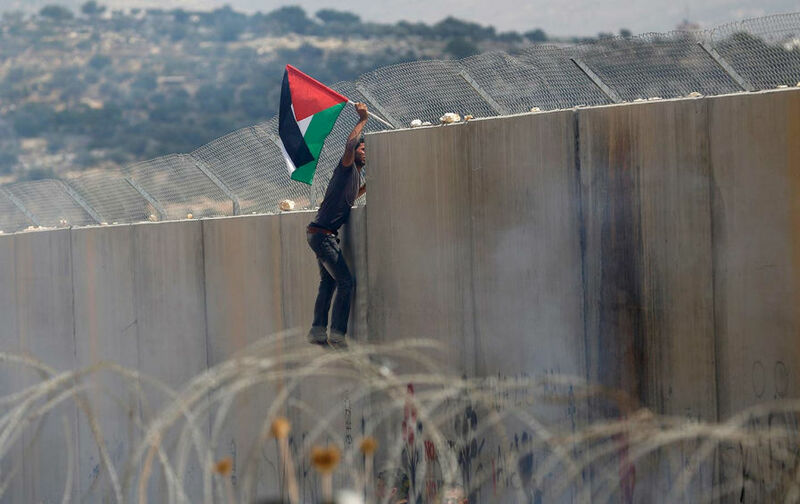 The time for Palestinian freedom is now. After more than two decades of failed US-sponsored negotiations, which Israel uses as a cover for its “maximum land with minimum Palestinians” policy, it is clear that, unless effectively pressured, Israel will carry on denying us our freedom and rights. We may never forget our many emotional—and often physical—scars. But when, not if, we achieve justice and equal rights, we can truly heal. And we count on the growing support of conscientious people around the world to help us get there.